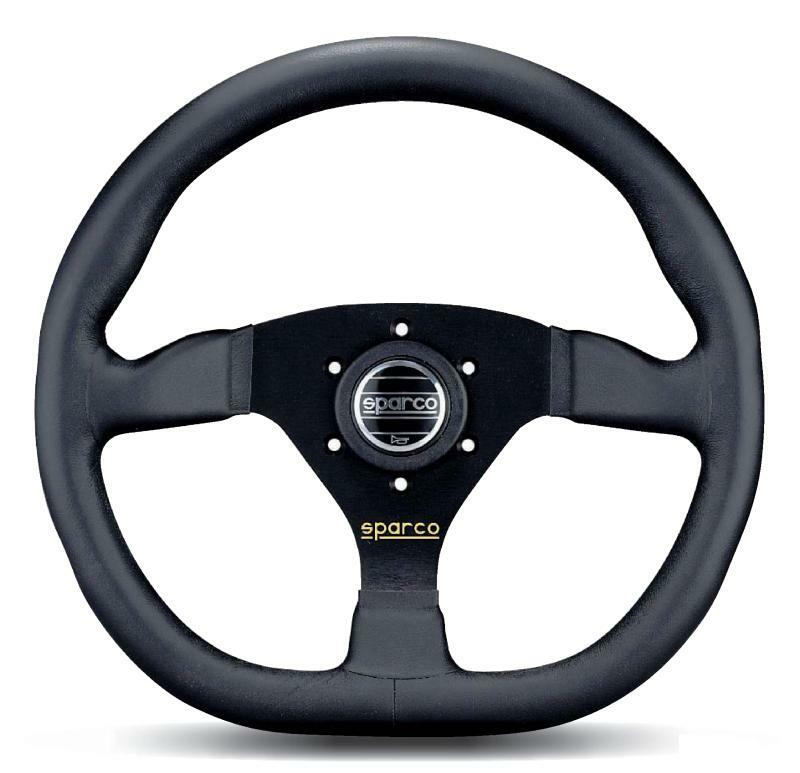 Sparco Steering Wheel - Tuner - Ring L360 UNIVERSAL - MiataRoadster - Stay tuned with MiataRoadster! The Sparco Ring L360 is a black leather, 3 spoke flat dish steering wheel with a slightly flattened race style bottom – helps with leg room and access to the car, and looks great ! 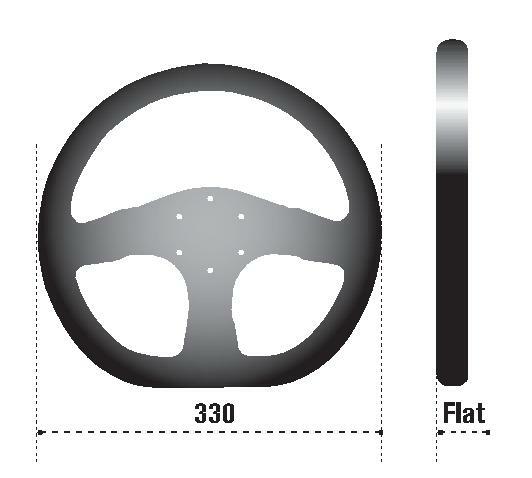 Leather or suede finish.